CCTV Cameras Installation in Rex Hotel Saddar Rawalpindi Cantt. March 15, 2015 in REX Hotel, Saddar, Rawalpindi, Cantt. 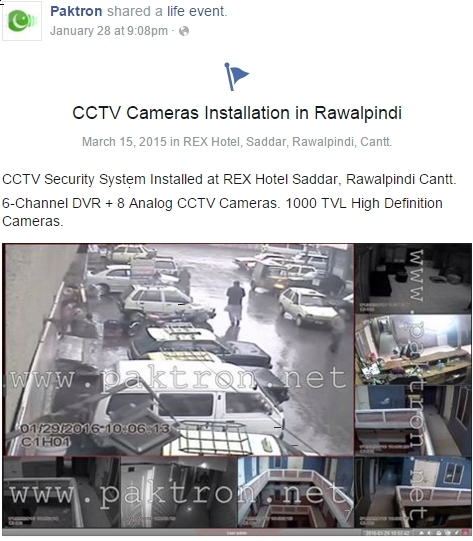 CCTV Security System Installed at REX Hotel Saddar, Rawalpindi Cantt. 8-Channel DVR + 8 Analog CCTV Cameras. 1000 TVL High Definition Cameras. 8-Channel CCTV Security System Installed by Paktron.